Ancient Egyptian artifacts from 3,000 years ago have been discovered in an underground cave in Israel. 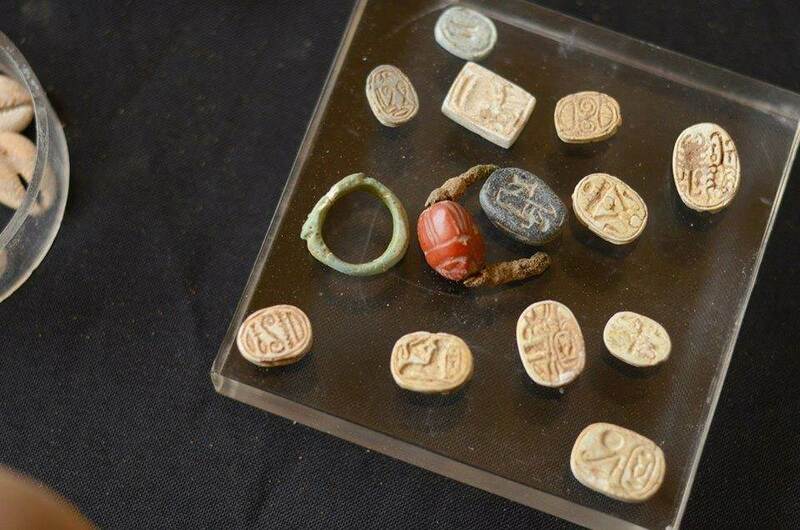 The Israeli Antiquities Authority’s Unit for the Prevention of Antiquities Robbery said it had discovered hundreds of ancient Egyptian artifacts in the cave while investigating looting. Excavators at the scene discovered the ancient artifacts in the cave, but were unsure why or how they ended up deep inside it, adding that there appears to have been no signs of looting. Among the items found were intact ceramic pots, jewelry, shells, oil lamps, small amulets, cosmetic boxes, alabaster jars, scarab seals and more, all which date back between 3,000 and 3,500 years to the 14th and 15th centuries BC. “Among other things, we can identify a sphinx lying opposite the name of the pharaoh Thutmose, who reigned from about 1504 to 1450 B.C. Another scarab seal bears the name of Amenhotep, who reigned from about 1386 to 1349 B.C. Still another scarab depicts Ptah, the principal god of the city of Memphis,” said a curator at the Israel Museum. A statement from the IAA added that Canaan was ruled by Egypt at the time, perhaps explaining the existence of the artifacts in the cave. The discovery comes after an ancient Egyptian beer brewery dating back 5,000 years was discovered in Tel Aviv.